Any rear-end collision has the potential to cause injuries for the driver in front, but these injuries are much worse when the vehicle in the rear is a commercial truck. One out of every five semi-truck crashes involves the truck hitting the back of a passenger car, causing a rear-end accident that can be fatal for the car’s occupants. Trucks are particularly deadly due to the weight and force of a crash impact. While most passenger cars weigh 1-2 tons, commercial trucks can weigh over 15 tons, sending the costs of medical bills, vehicle repairs, and other accident-related expenses into the thousands. Head and neck injuries. Whiplash, a neck injury where the head is thrown backward and forward rapidly, is a common effect of a rear-end crash. However, the increased force can cause a skull fracture or closed head injury due to impact with the headrest, and a broken nose or cheekbone upon impact with an airbag. Internal injuries. Many rear-impact truck accidents involve several passenger vehicles, causing severe injuries to multiple victims. The rear-ended vehicle may slam into the vehicle ahead, causing a chain reaction of injuries from lacerations and concussions to broken bones and crushing injuries. Damage to internal organs often results in bleeding that will need surgical intervention. Permanent injuries. 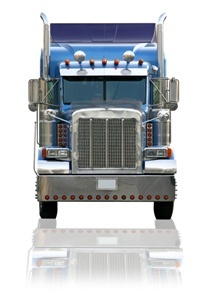 Injuries from truck accidents often have lifelong effects on the victim. Those who suffer head injuries may have permanent memory loss, victims with back injuries may be unable to go back to work, drivers who are left with scars have constant reminders of the accident, and nearly all victims will suffer psychological trauma as a result of the crash. Death. Many victims of commercial truck accidents do not survive the impact, leaving grieving family members without their support and companionship for the rest of their lives. What Are the Biggest Causes of Rear-End Truck Collisions? Just as with rear-end collisions involving two cars, the vehicle in the rear is usually at fault for the crash. However, this does not mean that victims are guaranteed payment for their injuries. The key to getting proper compensation is identifying who can be held liable and building a compelling case against the party responsible for the crash. Brake failure. Trucking companies often use vehicles and components for years after they are no longer roadworthy in order to save money. Commercial trucking companies are responsible for performing regular maintenance on their fleet, ensuring that the brake lines are functioning and replacing any worn tires and brake pads. Improper loading. Carriers often employ third-party companies to load and unload their vehicles. If the load was not properly balanced, not secured for the length of the journey, or was loaded beyond the recommended weight capacity, the loader may share responsibility for the crash. Risky behavior. Truck drivers who use drugs, speed, drive without a commercial license, fail to undergo proper training, succumb to road rage, and engage in other forms of recklessness may be held liable for negligence. Drowsy driving. It takes a much greater distance to stop a tractor-trailer safely, and truckers should stay alert and mindful of objects in their path. Unfortunately, truckers may ignore hours of service laws, skipping rest breaks in order to bring their deliveries in ahead of schedule. Both the commercial carrier and the driver can be liable for drowsy driving crashes, and the carrier may be hit with federal fines for breaking the law. Commercial truck companies have teams of lawyers working day and night to protect their interests, placing victims at a significant disadvantage in a legal battle. If you have been injured in a truck crash, our attorneys can determine who is liable for your medical bills, lost income, permanent disability, or wrongful death in the family. Contact GriffithLaw today for an evaluation of your case at no cost to you, or order a free copy of our book, The 10 Worst Mistakes You Can Make With Your Tennessee Injury Case.